Greenwich is probably one of my favorite pizza place in the world. 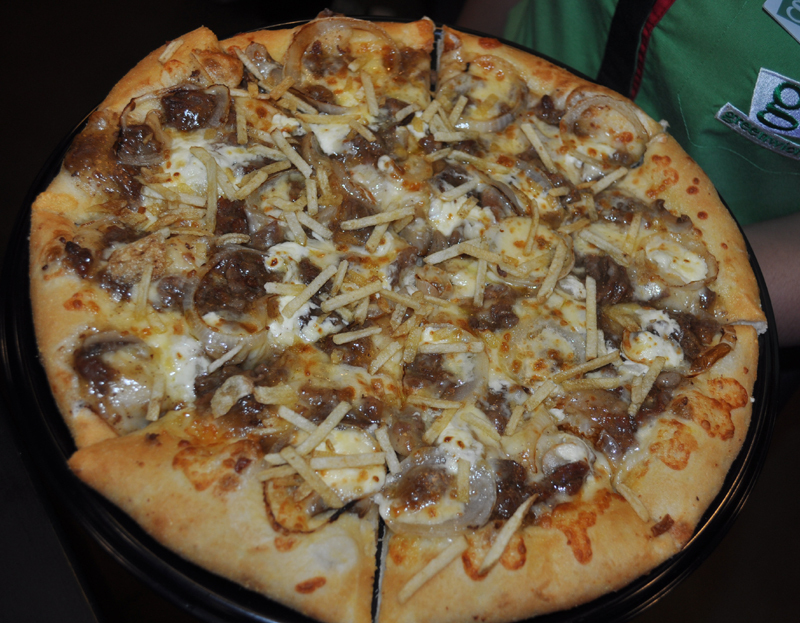 It offers pizza in a different level at very affordable prices. It is not afraid to swim in strange waters and has brought us various kinds of pizza from time to time. And this year, they might just hit my sweet and delicate pizza spot. 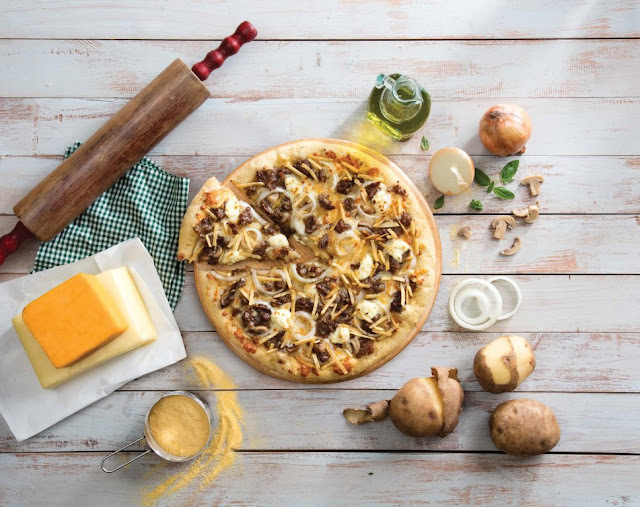 Without further ado, I introduce you the Limited Edition Greenwich Cheesy Steak and Fries Overload Pizza. It's limited in time but not in flavor. It has a mouthwatering steak oozing with three types of cheeses namely mozzarella, cheddar and cream cheese topped with crunchy potato strings. It has become the #NewestBarkadaCraze right after we attended its launch at Greenwich in BGC. Brand ambassadors Robi Domingo, Yassi Pressman and Andre Paras were the ones who served us the Cheesy Steak and Fries Overload. Hurry and visit your nearest Greenwich branch to discover this #NewestBarkadaCraze #CheesySteakandFriesOverload. The new Greenwich Cheesy Steak and Fries Overload is available until December 31, 2015 only so bring your barkadas and loved ones along for the trip. 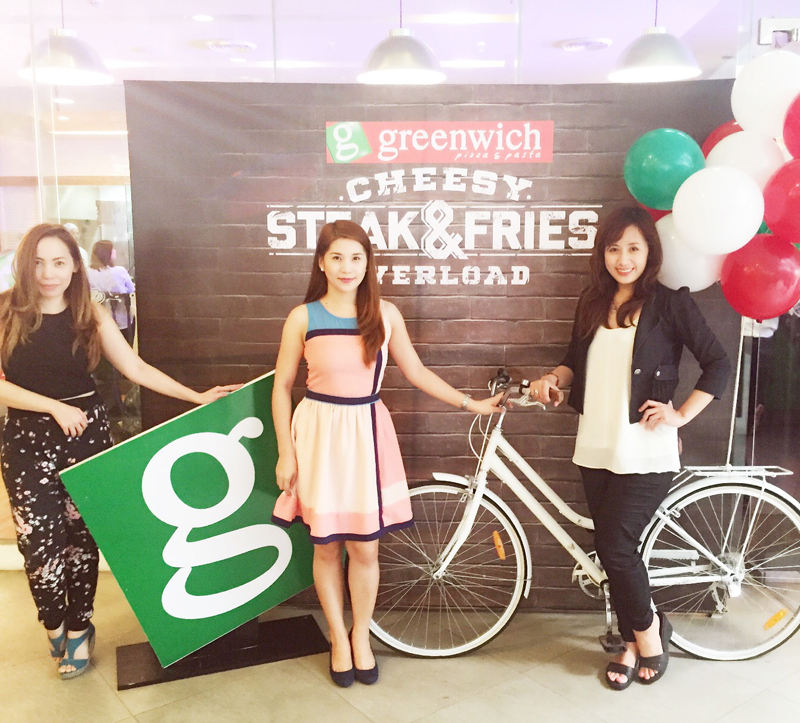 Visit http://greenwich.com.ph for a complete list of stores. Get the latest news and exciting updates from Greenwich Pizza.